For the last handful of days, we've been spending our days living in the boatyard. It's a strange thing to be on your boat when it's not floating. It feels unnatural. Water is supposed to be under the keel. The normal movement of the boat in the water isn't there. 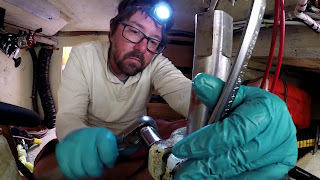 The gentle motion of the ocean in a calm anchorage has no effect on us while we are blocked up in a concrete stall with the sound of grinders, air compressors, and workers scurrying around at 7:30 in the morning. This is the first time in my 20 years of living on a sailboat that we've stayed on the boat while it's in the yard. 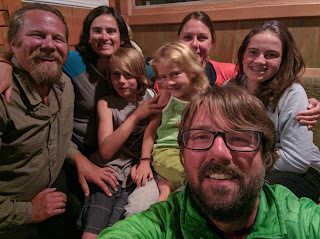 We've always had the luxury of family and friends nearby who graciously offered up their homes and gave us a place to stay while we were working on the boat on dry land. It's definitely much nicer to stink up our friends and families homes than it is to be in a boat that we are constantly worried is going to fall over. It's been said that cruising is made up of highs and lows. The highs are highest of the highs and the lows are the lowest of the lows. I've always been a pretty even keeled sort of fellow, without much of a mood swing either way, so I've taken that statement with a grain of salt. Until now. 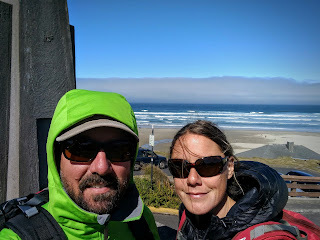 We just made a 4 day offshore passage from Newport, Oregon to Bodega Bay, California in which we covered hundreds of miles of open ocean. Just before we left Newport, I got a message from a good friend in Seattle who was checking the weather for us who said, “it looks like it's going to be “challenging” out there for the next day or so. Good luck!” Challenging in parentheses is never a good quote. An adventure means different things to different people. For the extremists out there, it obviously means climbing Everest in shorts and a T-shirt. For the less-than-extremists, it can mean anything from sitting on a different cushion on their couch and watching a different re-run of Star Trek than the one they usually watch on Thursday night (the original series of course). It can mean trying something new at your favorite restaurant, taking a long overdue vacation to someplace new, or hopping into the van at the park with the guy who is always offering candy and holding the cutest puppy (don't get in the van...I don't care how much you like candy or how cute the puppy is. Trust me...don't get into the van). Plans are made to change, I'm pretty sure of that. Mostly because it seems our plans never work out the way we planned them. Since we have no place we need to be, it doesn't bother me in the slightest. We pulled into Newport, Oregon yesterday afternoon, and of course we had no plan on coming here. When we left Neah Bay on Sunday, we had our sights set on the middle of California. 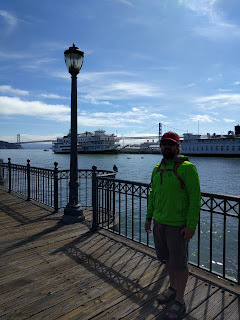 We planned on spending roughly 7 days at sea and ending up somewhere around San Francisco or Santa Cruz (we were going to decide on the way). Of course, our plans have changed. 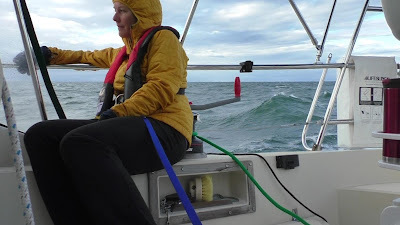 We left Neah Bay with a solid weather window that would put us off the coast of northern California right as a gale was dying down and give us about 48 hours to get through the area before the next gale started forming. We timed our departure, made the big left turn, and pointed the boat offshore. We've got a lot to talk about today, so let's get started. First off, we've got the big left turn. If you aren't a sailor from the Seattle area, you might not know what that is. Well, it's simple. It's when you go out the Strait of Juan de Fuca and turn left. It's the first big step for a cruising sailor leaving our area and heading out to take on the world and her mighty oceans. It's what symbolizes leaving. That left turn puts us on a collision course to Mexico. It's the holy grail of left turns, and if you haven't guessed, yes, it's a big deal. Not only have we conquered some of the Northwest's worst areas, we've also crossed a good portion of the Pacific Ocean. 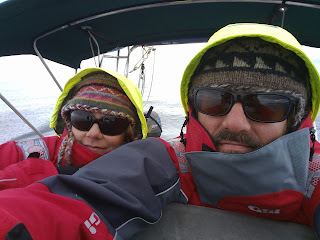 We've hunkered down in nasty squalls, we've sailed in waves the size of 2 story houses, and seen our wind speed indicator ripped off of the top of our mast at somewhere around 55 knots of breeze. I guess what I'm saying is that we have a pretty good frame of reference for when things get nasty. Even with all of that, we've just had one of our worst moments at sea ever...yes ever.